Dixon has crafted an exciting action-adventure novel flavored with just a hint of science fiction (in the form of nanotech-created super soldiers). What makes PHOENIX ISLAND stand out from the rest of the good kids vs. bad adults YA field is the authenticity Dixon brings, especially when it comes to the art of boxing and to boot camp life. Despite a few slow spots in the first half, Dixon leaves the reader breathless by the final pages, and the ending is both satisfying and open-ended. It’ll be interesting to see where this series goes next. PHOENIX ISLAND is marketed for younger readers, but adults will be just as eager to keep turning the pages. Over on the Book of Face, I’ve got three conversations going that might be of interest to readers of this blog. The first pertains to which of Stephen King’s books I’ve read and, perhaps more importantly, the shocking amount of his work I haven’t read. The second discusses Robert McCammon, Bentley Little, and John Saul. And the third is a discussion of one of my favorite authors, Clive Barker, and which of his books I missed but shouldn’t have. Feel free to leave comments here if you can’t or don’t want to on Facebook. To celebrate the release of the Savage Beasts anthology from Grey Matter Press, I’m going to be taking part in a reading on Wednesday, September 30th at the KGB Bar! Savage Beasts collects eleven short horror stories that are inspired by and focus on music. I’m not actually in the anthology, but I’ve been invited to read to help celebrate its release. Joining me will be authors Daniel Braum, James Chambers, and Shawn Macomber. All of us will be reading music-themed stories. The authors’ books, including the Savage Beasts anthology, will be available for purchase and signing. There’s a Facebook event page for the reading, too, if that’s how you like to keep track of this stuff. 1) I wish it hadn’t been quite so graphically violent. Aside from the fact that it made Alexa and me unable to watch the show over dinner, I think the voluminous amount of blood, gore, and broken bone (as well as occasional bad language) kept it from being enjoyed by a younger audience. I’m a nerd in my forties, they don’t need to worry about hooking me on a superhero property. They need to worry about hooking a new generation, and aiming this series at adults isn’t going to help with that. At the same time, I can understand why they wanted to bring the superhero genre down to street-level, as it were. The movies traded in fantasy violence, mostly, because their heroes are super-powered. 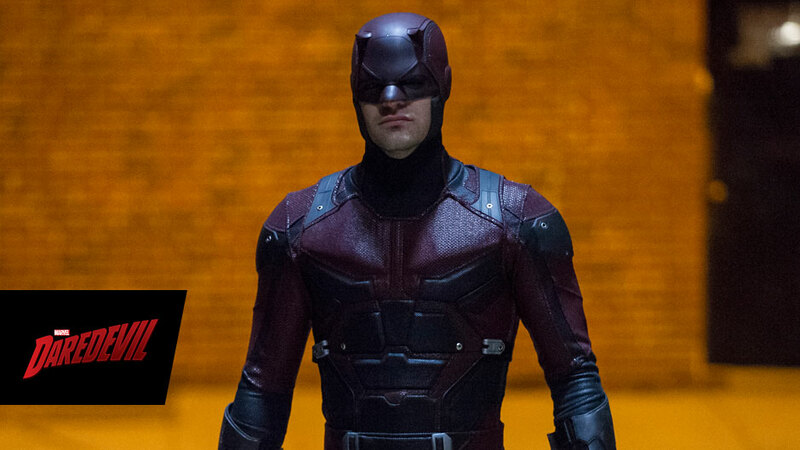 Daredevil doesn’t have super strength or the ability to fly or a magic hammer. He has his fists, his feet, and his batons. Bringing it down to a human level would, one could argue, necessitate showing the ramifications of human-level violence. Hence, Matt Murdoch spitting blood every episode, or the splatter of blood from gunshots, or close ups of open wounds being stitched. I get the need for humanization, but I’m just not sure these examples of it makes the show all that welcoming. 2) I think they made some creative choices with Wilson Fisk, a.k.a. the Kingpin, that didn’t work out, at least not for me. The tentative manner in which he spoke, the uncertainty in his face and voice, they felt wrong to me. At the same time, the show clearly wants to humanize everything, and that includes its villain, hence giving him relatable insecurities. I just don’t think it worked. Even at Kingpin’s most violent and psychotic, I didn’t feel scared of him, and I think I needed to. I also had trouble with his love story arc. I felt the scenes with Fisk and Vanessa were the weakest part of the series, to the point where, through no fault of the actress, who was quite good, every time she showed up I felt like the story was grinding to a halt. It was a writing issue, one of the rare missteps in a program that I thought was very well written. I would be okay if Vanessa didn’t come back next season. 3) This one’s pretty nerdy, but I didn’t like the Daredevil costume. In a cinematic universe filled with unlikely costumes, they have so far managed to make the costumes look okay. Even Captain America and Thor, both of whom should look ridiculous in real-life versions of their comic book costumes, manage to look good. But Daredevil’s costume didn’t work for me. The mask and the horns in particular don’t look quite right to me. To be honest, I kind of liked the “black mask” outfit he wore for most of the series better than the final Daredevil costume! But who knows, maybe it’ll grow on me. I’m looking forward to season two. And also to the forthcoming Luke Cage, Jessica Jones, and Iron Fist Netflix series!